Nothing satisfies your hungry customer more than a well-cooked pastry. However good pastries and wholefoods are not often used in the same sentence. That is why we created The Wholefood Bakery way. "Wholefood made simple and fresh". We believe in the use of whole foods to ensure our products are in its most natural state. Our pastries do not contain any additives or preservatives. With recipes that we have tested and tried with no extra added sugars, salts, or fats. 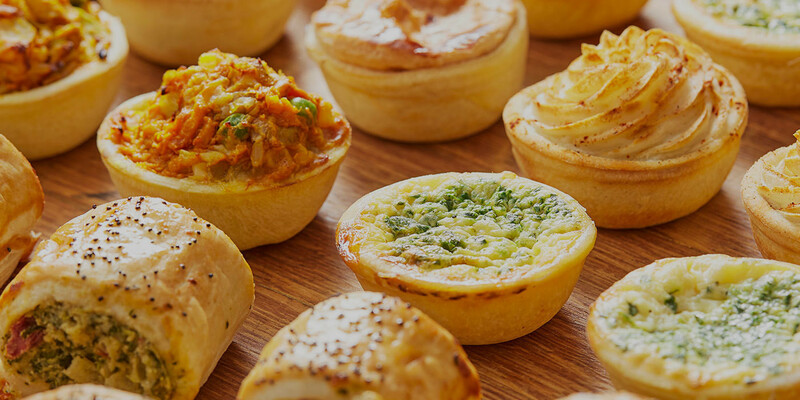 Our favourites include Savory Meat Pastries and the best Family Quiche for your customers next family meal. With catering packs as one of our specialities and also Vegetarian Pastries for those needing more veg in their world. Next time you are ordering our Open Pumpkin Pie or the office favourite of the Beef Chilli Pie, be assured that only the finest of ingredients locally sourced for wholefood perfection. Wholefood pastries made fresh and tasty.